[SatNews] As commercial partners demonstrate their new systems for reaching the Station, we at NASA continue to focus on the technologies to reach an asteroid and Mars. The following are statements from NASA Administrator Charles Bolden and Assistant to the President for Science and Technology John P. Holdren about the berthing of Orbital Sciences' Cygnus cargo spacecraft to the International Space Station (ISS) on Sunday. "Today, with the successful berthing of the Orbital Sciences Cygnus cargo module to the ISS, we have expanded America's capability for reliably transporting cargo to low-Earth orbit. It is an historic milestone as this second commercial partner's demonstration mission reaches the ISS, and I congratulate Orbital Sciences and the NASA team that worked alongside them to make it happen. "Orbital joins SpaceX in fulfilling the promise of American innovation to maintain America's leadership in space. As commercial partners demonstrate their new systems for reaching the Station, we at NASA continue to focus on the technologies to reach an asteroid and Mars. "The international crews aboard the station are working hard on the science and technology demonstrations to help us reach new destinations, and the expanded cargo transportation capability Orbital has now demonstrated strengthens that work. "Under President Obama’s leadership, the nation is embarking upon an ambitious exploration program that will take us farther into space than we have ever traveled before, while helping create good-paying jobs right here in the United States and inspiring the next generation. "Congratulations again to the Orbital and NASA teams for achieving another important milestone on this exciting path. 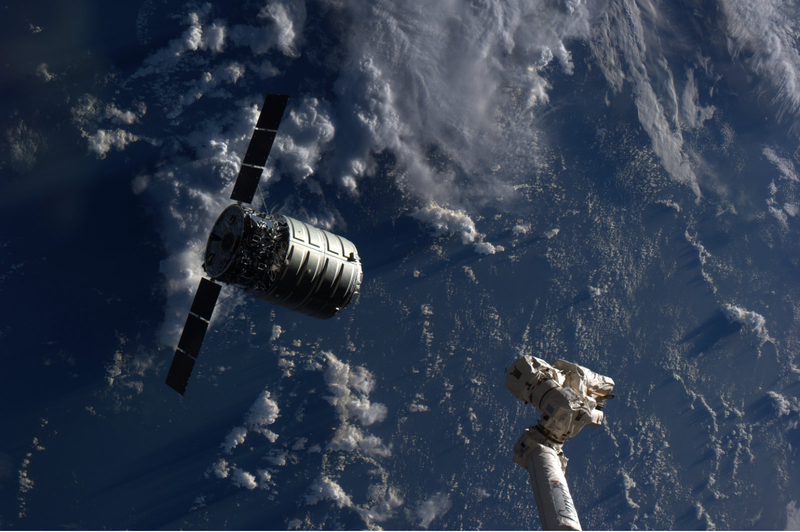 Godspeed, Cygnus, and here's to many more successful flights." "Space history was again made today with the berthing of Orbital Sciences' cargo-carrying Cygnus spacecraft to the International Space Station. Now two American companies have proven they are capable of delivering cargo to the space station. "This mission is exactly what the President had in mind when he laid out a fresh course for NASA to take Americans deeper into our solar system while relying on private-sector competition to lower the cost of ferrying astronauts and cargo to low-Earth orbit and the International Space Station. It’s essential we maintain competition and fully support this burgeoning and capable industry to get U.S. astronauts back on American launch vehicles as soon as possible. "I am proud of the engineers and scientists—both from NASA and Orbital Sciences—who contributed to this success. Together, we're opening up the aperture of what we can accomplish in space through public-private partnerships and demonstrating that American innovation continues to lead the world." For more information about the Orbital demonstration mission, visit.